After solidifying the new brand, we worked with STOTH’s Marketing Manager to create new stationery materials such as Letterhead, Business Cards, Envelopes, etc. 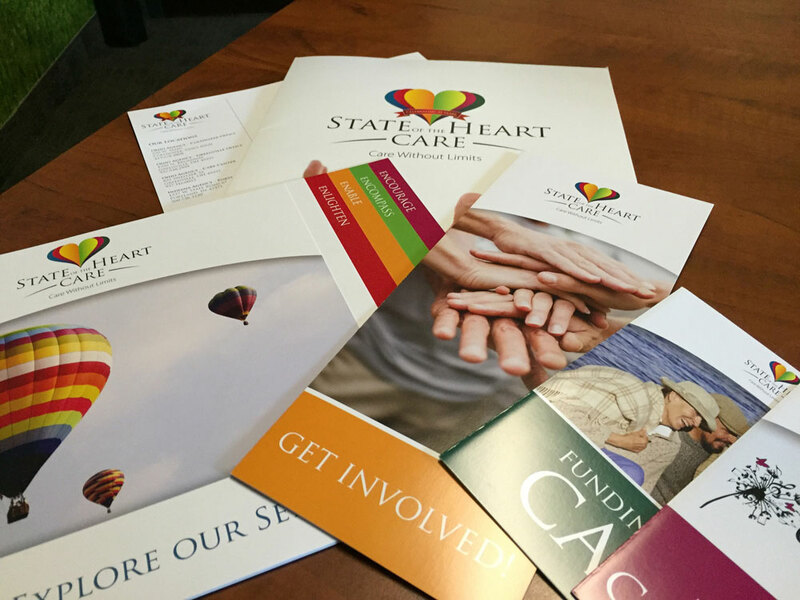 We also created comprehensive collateral materials including Pocket Folders, Overview Brochure and several specific flyers marketing individual areas of their program. In addition, we were also able to take the new brand we created and implement that into a brand new website for the company. Now, State of the Heart Care has a fully integrated brand that customers, employees, and the community will recognize for years to come.